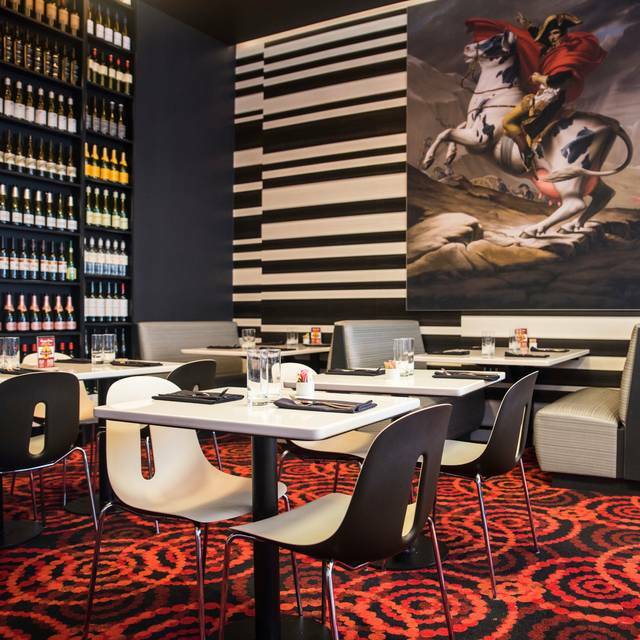 You must make reservations at least 5 minutes in advance of the time at Cheesetique - Ballston. We are 2 blocks from the Ballston Metro! 5 min walk! We do trivia every Monday night from 7pm to 10pm! We offer many of menu items in large format. Just give us a call to inquire! Visit the Cheese Shop to Take Home Any of Our Cheeses, Meats, Wines & Other Goodies. You Even Save 10% After Dining! Even more goodies for your board. Gluten-free Crackers Are Available - Just Ask! Topped with shredded NY Cheddar. Dip away! Tender lobster meat, Fontina Fontal, Sherry, tarragon. Decadent indeed! Raw milk cheese. **consuming undercooked meat, poultry, seafood, shellfish or eggs may increase your risk of foodborne illness. Easter brunch with 4 adults and 3 boys under 7. Great menu, lots of choices and we all got something different to eat and everyone raved. Mimosa bucket great fun. Bloody Mary’s nice and spicy and the place is crazy kid friendly with special cups, a stockpile of games, crayons and coloring placemats. Service attentive and lovely. Shrimp and grits fabulous! I truly wanted to buy some cheese, but was so completely stuffed that the thought of doing any type of taste was too much! I’ll be back! Thank you! Trivia is great! Josh is awesome! The lunch special is a great value at $10. Half grilled cheese and cup tomato soup with a few greens. But service was inattentive and they brought the wrong sandwich. My companion finished her lunch before I could get anyone’s attention. And the grilled cheese was cold. The tomato soup was delicious though. My pals and I eat here roughly once a month and always have a good time. We enjoy the happy hour pricing! The menu is a little stagnant, but we all have our fave entrees so it doesn’t hold us back. Their Mac and cheese is tasty and I love their grilled cheese sandwiches. A first time for us and friends and we all love it, food and wine was delicious and service was excellent. I had the grilled cheese and it was horrible. The bread wasn’t even toasted. I feel like it’s very difficult to mess up grilled cheese. Our waitress was very nice though and my friends’ meals looked ok.
We were staying at the Westin and decided to try Cheesetique out. It was Wonderful! This place is so good. The server made our experience extra special by bringing us various cheese and wine to try. Highly recommend. 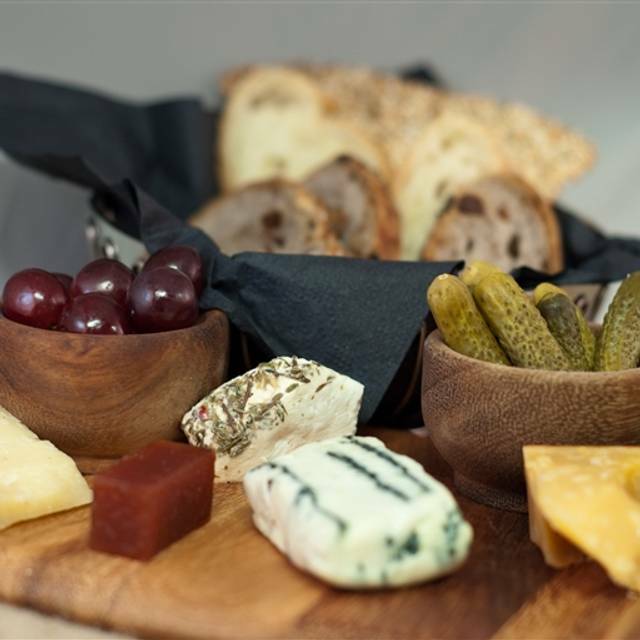 The wide variety of cheeses and charcuterie available to inclusion on a cheese board, along with the accoutrements served with the cheese board make this a "must try" at Cheesetique. 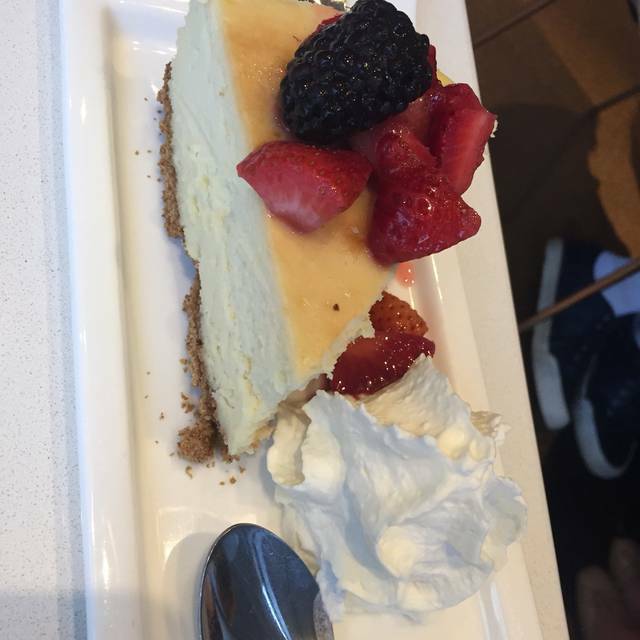 The Garlicky Shrimp pasta entrée with pieces of cooked Halloumi cheese mixed in was extraordinary, and the wine pairing suggestion worked with the cheese board, entrée and our cheesecake dessert. GREAT MEAL!! The cheese was fabulous, but our service was lacking. I was served my meal as my friends were finishing theirs. Everything was amazing! The old fashion we got was not great, tasted watered down, but everything else was wonderful. We got the warm burrata - so yummy - as an appetizer, and the lasagna and steak as entrees and they were incredible. The ambience was nice and the wine was good and well priced. Restaurant needs a better sound absorbing materials. I can barely hear the conversation of my company. Ordered the cheesesteak sandwich and chicken sandwich and paired both with the wines recommended by the menu. Delicious. Ordered the Mac n cheese. And it was mmm mmm mmm good! Always great! Wonderful service, delicious food and fun trivia! Everyone went above and beyond to make b’day extra special- thank you! First time and service was pretty rough to come around and serve our food. We had others that came in after my table of two get food before us. I decided to try something new that I wasn’t too fond of but I’ll definitely return to try this place again. Our visit to cheesetique was during restaurant week. Although we opted out of the restaurant week deal, it appeared to be a good deal for two people — a charcuterie board, one entree each, and chocolate mousse to share for $35 total. Instead of doing that, I ordered the Mac n cheesetique, which was served hot! It was a tasty dish, but on the smaller side and did not come with any sides. My boyfriend ordered one of the specials originally; however, they ended up being out of that option. He went for the cheesesteak, which he described as underwhelming because there was too much bread. It did come with a side salad. Our server was great! I wish I knew his name. I’m not sure if we would come back, though, since the food wasn’t our favorite. Three college friends (50 years later) met for lunch and had a very pleasant time with good food, including our complimentary chocolate mousse. There was no rush to get us out which was much appreciated. 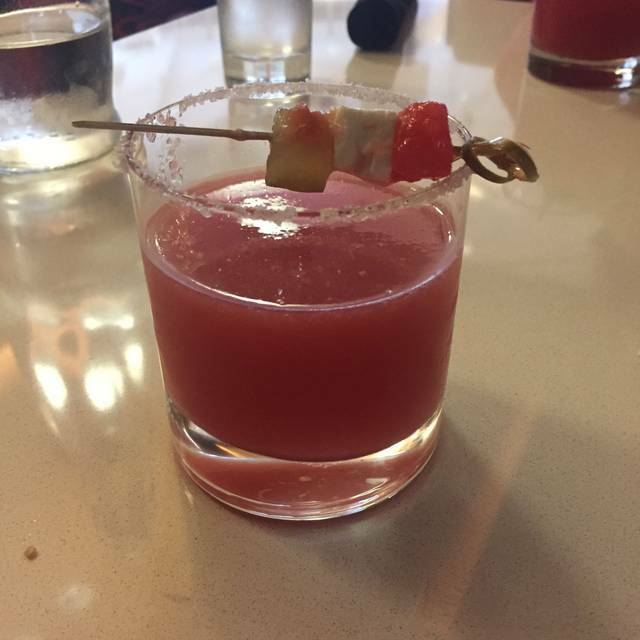 My partner and I went to Cheesetique for the restaurant week menu and we were not disappointed! The food was a solid 10/10 (how could it not be if you love cheese, amirite?) but the service was even better. We had Jordan as our server and she was so helpful in guiding us through the cheese and wine menus and it made it such a great experience for us. Thank you Jordan! Waiter didn't get our mains written down and thus we had to wait for them to be made. 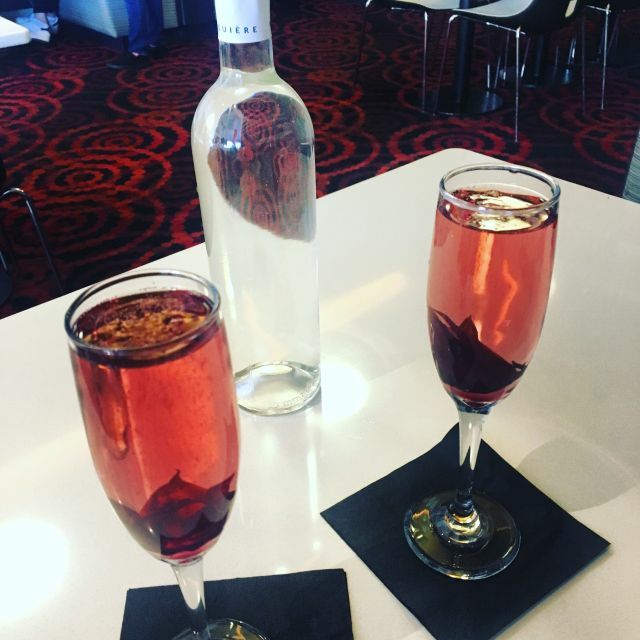 Didn't ask if we wanted a second glass of wine. Poured us two more of the same wines instead of bringing us a menu (we contributed this by not being absolutely clear). No salad dressing on what looked like an entire bag of Arugula. Advice: if you are going to eat, stay with the starters and I would suggest having your waiter repeat your order. Affordable restaurant week menu, good for a small group. Trivia night so VERY noisy, but overall a fun place. The food and value was very good. The meal started off poorly when my daughter tried to order the wine and cheese flight. The menu clearly indicated that it was a 5 wine tasting paired with 5 cheeses. They insisted that it was 4 wines and a beer not 5 wines and would not honor their menu. This started the meal off with a sour note and the service initially matched this poor beginning. The service eventually improved and the food was very good. Incredibly nice staff who are quick to recognize semi-regular guests, great food and wine, and Monday night trivia is fantastic. No one does grilled cheese - whether cheddar or gourmet- like Cheesetique! Yummy food and attentive service. Thank you Liz! Been to Shirlington and DelRay and love...but Ballston is just perfect! Too expensive for a bistro type place. Gluten free Mac was swimming in oil and way too rich. French onion soup was amazing tho! THe food was great my only complaint was the French onion soup was just okay.....the onions could have been cooked more and the the soup was only warm. Food was good. Service was unbelievably bad. Very surprising as the service at DelRay is always fine. I would still recommend as the food is good, but fair warning on sub-par service and don’t go if you have time constraints. I found food exceptionally great. Definitely will return. I loved the menu. I just wished Cheesetique had more vegetarian options. Great waitress!! Good food .. a bit of a limited menu. What they do offer is excellent. Such a cool place! The restaurant itself is neat. The food is awesome and the wine is great! Good date spot as well. I love Cheesetique, and have gone to all of their locations; this disappointing trip was an outlier. In spite of the restaurant being relatively quiet, it was difficult to get our waitress's attention. The process of getting our bill and paying it took half an hour. There was a hair in my sand which. Our waitress initially was rushing us and wanted us to order our drinks and food at the same time. Then she stopped paying attention to us all together and I had to ask 4 times for the check. What a lovely experience and exquisite choice of cheeses! I will definitely come back again.